The 2016 European Flat season is barely underway but the all-conquering Zoffany already has a stakes success to his name after Washington DC (3c Zoffany-How´s She Cuttin´, by Shinko Forest) scored at Dundalk on Friday night. Last season’s Windsor Castle Stakes hero, who went on to finish second in the G1 Keeneland Phoenix Stakes, looked full of class as he took the Listed Paddy Power Stakes by a cosy two and a quarter lengths under Seamie Heffernan. The Racing Post commented: “(Washington DC) oozed class here. Waited with just off the early pace by Seamie Heffernan, he made up his ground without much effort and when asked to quicken inside the last he really picked up well and strode clear. The manner in which he saw this out would give great hope that he will get the mile and he should not be underestimated in whatever Guineas he ends up running in.” Heffernan was impressed by the Aidan O’Brien-trained colt and added: "He had some very good form and has a fair amount of ability. He travelled very easily and quickened. He has plenty of class. 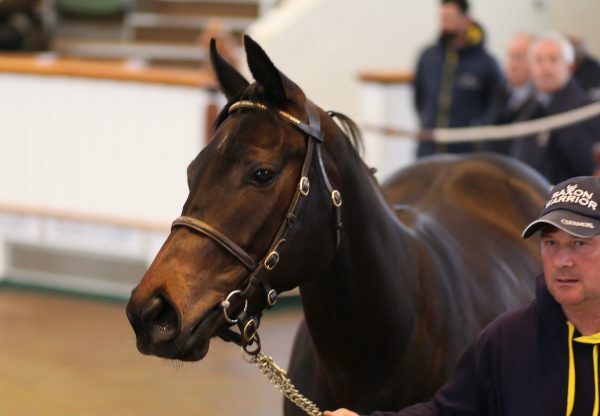 We have a couple of Zoffanys that could be alright.” Washington DC was bred at Oghill House Stud in Co Kildare by Paul Hyland in partnership with Chris and James McHale. Meanwhile, also on Friday the Henri Devin-trained Saimaa (3f Zoffany-Serisia, by Exit To Nowhere) looked another classy representative for Zoffany when winning a Maisons-Laffitte conditions contest.